CANFIELD TECHNOLOGY VECTRA 3-D | Max Lehfeldt, M.D. Our newest, most advanced cosmetic and reconstruction imaging technology – CANFIELD TECHNOLOGY VECTRA 3-D. This amazing simulation tool allows Dr. Max to show patients during their consultation a precise illustration of what to expect after their cosmetic surgery! It helps patients to visualize, according to their unique body structure, what they will look like after surgery. 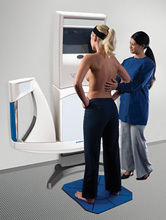 3-D Imaging helps with both cosmetic and reconstructive surgery of the FACE, BREAST, or BODY! Dr. Max can even simulate improvement after dermal fillers like Juvederm® and Radiesse®! BREAST AUGMENTATION is typically sized with an implant in a bra, but with this new 3-D Imaging Technology, digital breast implant size and profile will be visualized in the office and patients can decide which implant will give them the most beautiful outcome!